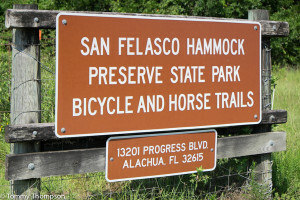 The south trail head, behind Progress Business Park near Alachua, allows cyclists, horseback riders, as well as hikers. The trailhead off Millhopper road is reserved for hikers. This preserve has one of the few remaining mature forests in Florida. The limestone outcrops and extreme changes in elevation provide ideal conditions for many species of hardwood trees, including several champion trees. Bobcats, white-tailed deer, gray foxes, turkeys, and many species of songbirds make their homes in the 18 natural communities found in the preserve. 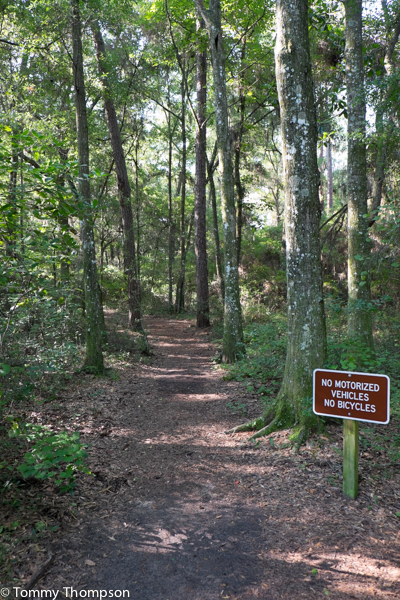 The park offers outdoor adventure to hikers, off-road bicyclists, horseback riders, and nature lovers. To ensure solitude and quiet for a true wilderness experience, the southern two-thirds of the park is designated for hiking only. 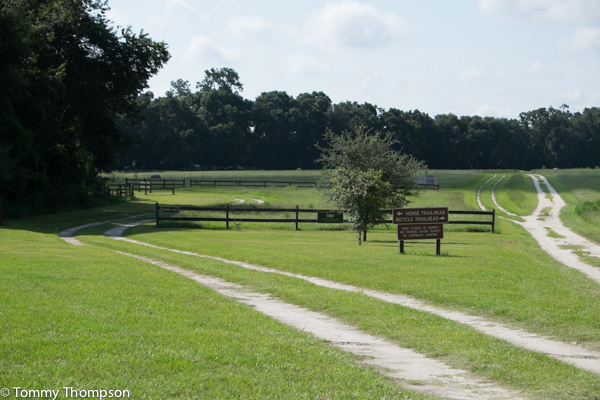 The northern third of the park has horse trails, off-road cycling, and hiking. Equestrians must carry proof of a negative Coggins test. 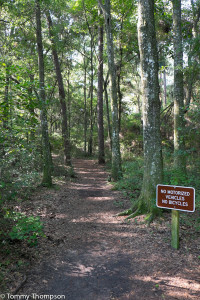 The hiking trailhead is located four miles northwest of Gainesville on State Road 232. 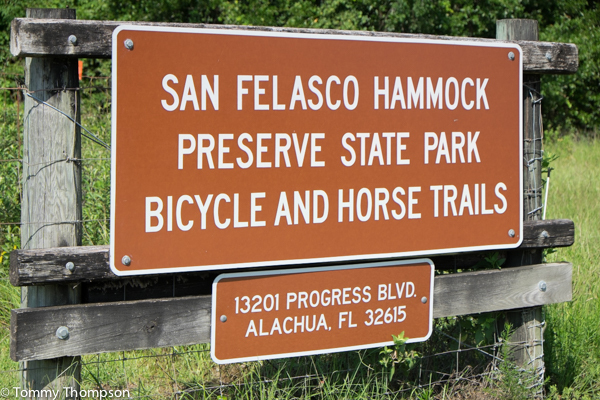 The horseback and bicycle trailheads are located off U.S. 441 just south of the town of Alachua. The north trailhead, with separate paths for horses and off-road bikes.